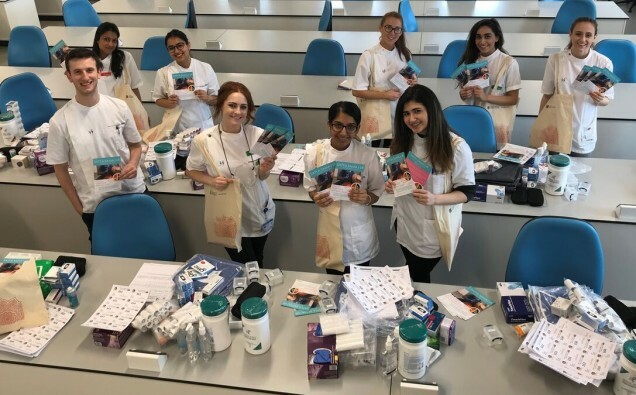 Dental students from the University of Birmingham are travelling to northern India to deliver essential health services to people with limited access to basic healthcare facilities. Led by Dr Upen Patel and Dr Ketan Patel, 10 dental students from the School of Dentistry at Birmingham are volunteering with the charity Satya Samaj UK, led by Mr Vinod Lodhia, to provide medical and dental aid to the underprivileged people of the Rishikesh and Himalayan region of India. The group plans to work with local doctors and dentists to look after more than 500 adults and children at a special five-day dental, diabetes and asthma health camp. Dr Upen Patel, Clinical Lecturer at the University of Birmingham, commented: “Maintaining good oral care is essential for everyone and it is unacceptable that there are people in the world who do not have access to the basic means of keeping their mouth healthy by reducing the risk of dental decay and gum disease. The dental volunteers will provide an oral health check and show each patient how to clean their teeth and gums effectively to prevent disease. Louise Davis, a fourth-year dental student at Birmingham, said: “This trip is a really amazing opportunity to see an area of the world that I wouldn’t normally get chance to see and a chance to help a large group of people who otherwise wouldn’t get access to such vital care. I think we are really fortunate in the UK to have the services we do. In addition to an oral health checks, the camp will also host a diabetes and asthma screening facility, to aid diagnosis and provide lifestyle advice to help control these conditions and improve the quality of these people’s lives. Satya Samaj UK has provided health camps for the past 15 years. Its last camp in April 2018 was a huge success with £15,000 raised. Over 300 adults and 200 children received free dental check-ups and dental preventative treatments. Each patient was given a toothbrush, toothpaste, brushing instructions and diet advice. Antibiotics, dental fillings and extractions were provided to those in need of treatment.